Peonies are my absolute favourite flowers. 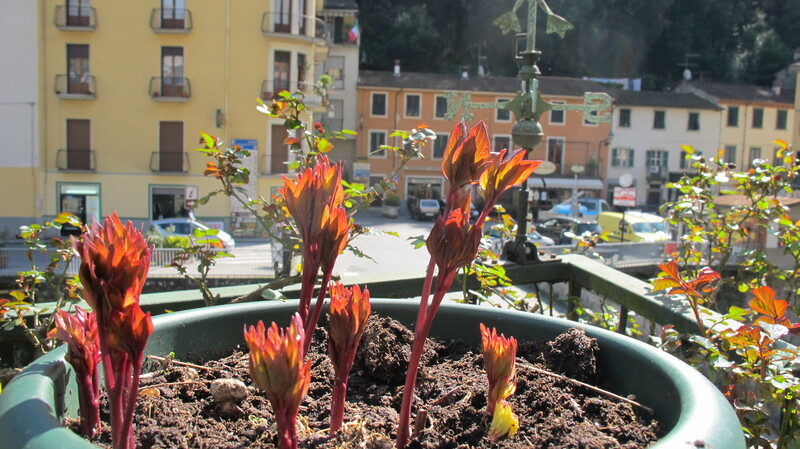 There is no way I could grow one in Brisbane, but I have a crimson peony in a pot on my balcony in Bagni di Lucca. 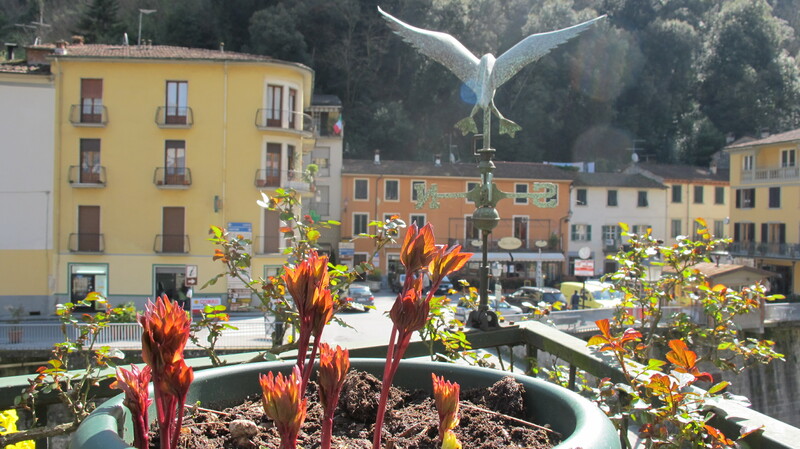 In winter I take the pot to the garden of my friend Rina, where it is more sheltered. As soon as the weather warmed up in spring I brought it home to watch it grow. A few days on and the progress is amazing. While we were away in Spain the plant grew like crazy. 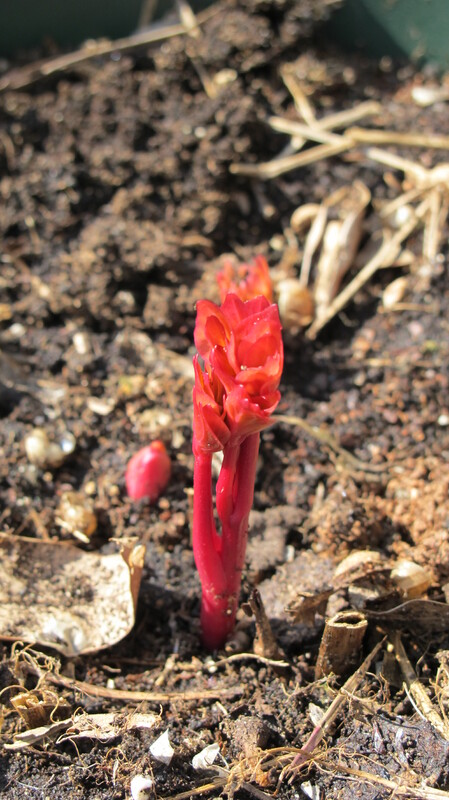 The buds appeared a week later. A week later and the buds are growing. At about this stage it stalled and didn’t seem to go anywhere for ages. Ants attacked the flower buds and I blasted them with pest spray. 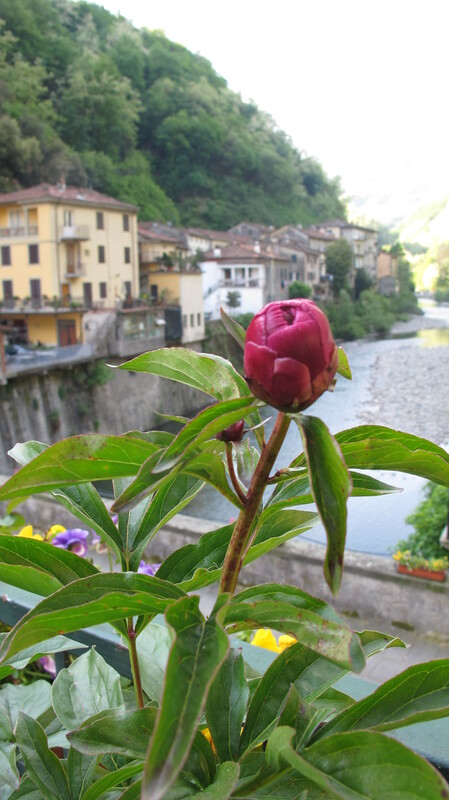 One of the flowers finally opened the day before I left Bagni di Lucca. It wasn’t as good as usual, but it wasn’t too bad. I wonder if the others will open. 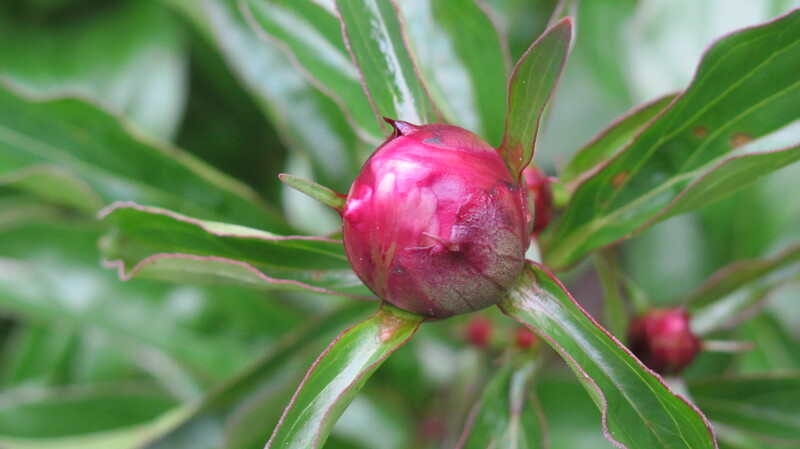 I’ll have to read up on peonies before next spring. The flowers on other bushes were the size of dinner plates, so I must be doing something wrong. Any suggestions out there? March 2019. 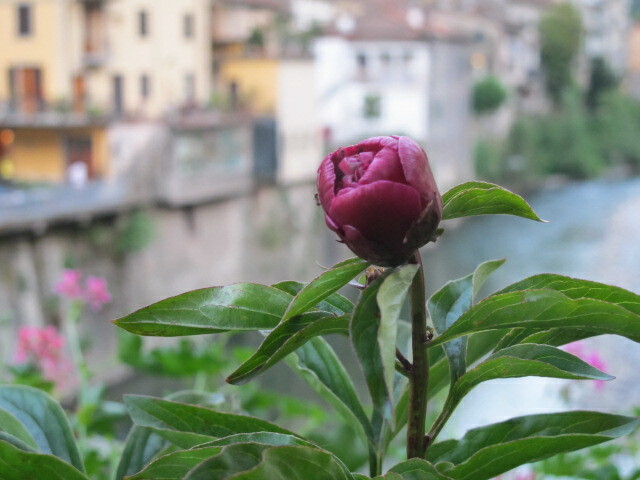 This peony now lives at our mountain house, Casa Debbio. It is thriving! The first year after its move about 6 years ago it grew, but produced no flowers. The next year there were a few. Last spring it gave us about 60 blooms! 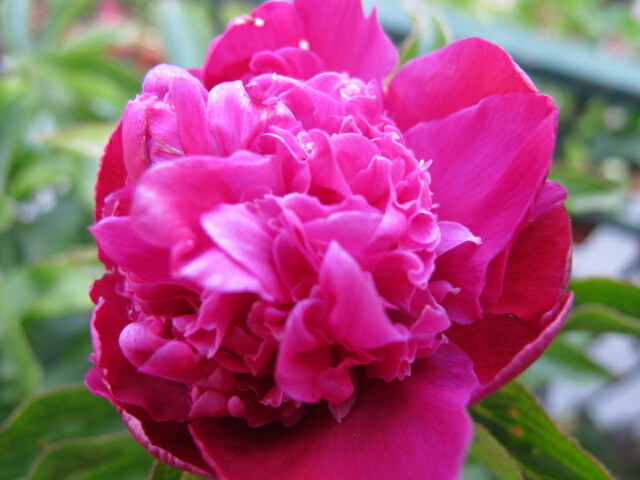 It my favourite peony out of the 65 growing in the garden. Clever you, they are lovely. The colour is devine. It is a beautiful colour. I missed it completely last year. It didn’t flower before we left. I just caught it this year. Thanks for that. I thought they were going to eat it, so I sprayed them. I won’t do it again. Love the color! Mine are a pale pink. 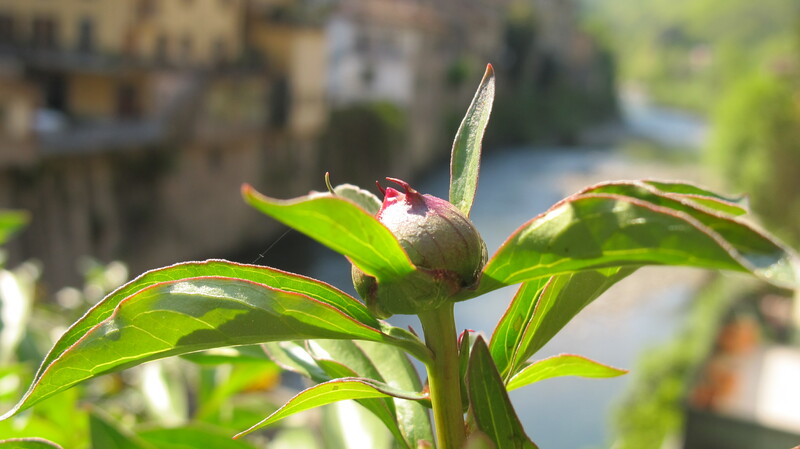 Still just small buds as we have a late summer. First day over 70 degrees since last fall is due tomorrow! So glad you had the chance to see it bloom this year! Hopefully I will do better next year. The first year the flowers were magnificent, last year I missed the flowers, this year OK, but not great, next year – wonderful. 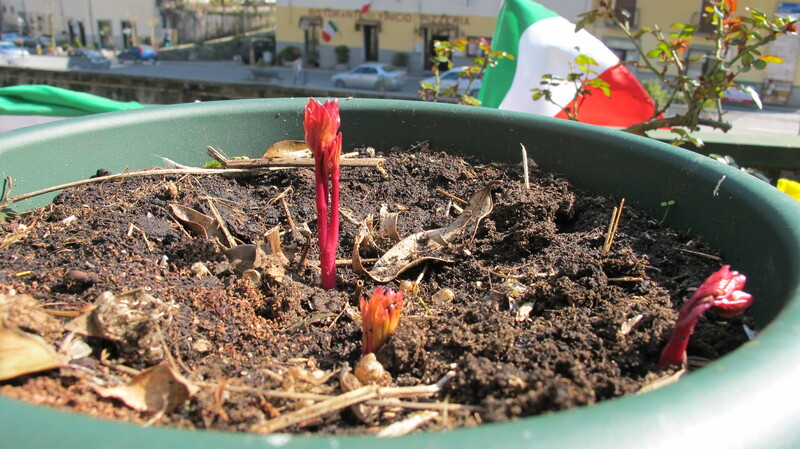 I think I will have to wait until I plant peonies at Vergemoli to get really big ones. I will certainly be trying. Beautiful! My husband just got back and thinks he met some of your friends! Lovely Australian ladies celebrating a birthday…he said it was really nice area. Wish us luck in getting something! There were three friends staying ot our place last week. I think thery spent a fair bit of time in the piazza, so I’m not surprised your husband met them. I hope you find something wonderful. Firstly what a wonderful photo study! 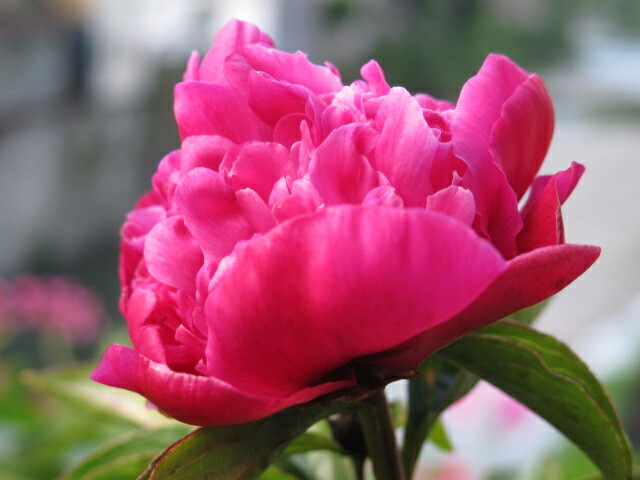 I love the peony too and just relived all those magic moments sharing in the development of yours! Thank you for your kind comments – and helpful suggestions. 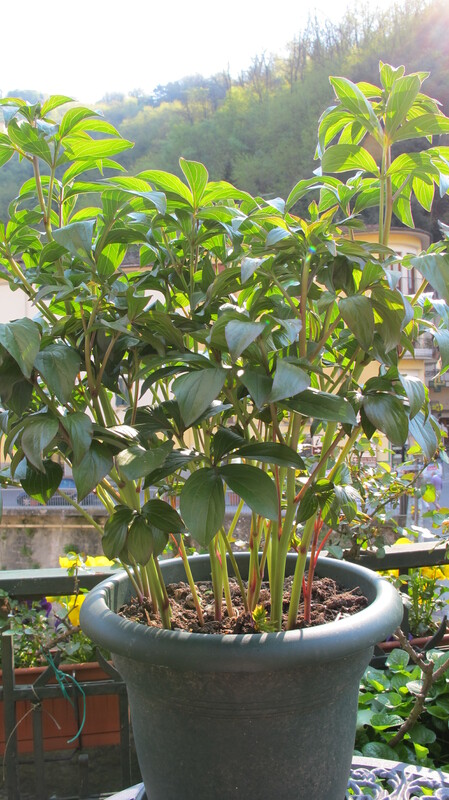 I will repot the peony before next spring. I would expect smaller flowers in a pot, but it seemed to be doing so well, then it sort of faded. Thank you for that. I will read up on peonies before next spring. So beautiful. I can smell it from here. Peonies are the most heavenly flowers. I love them. 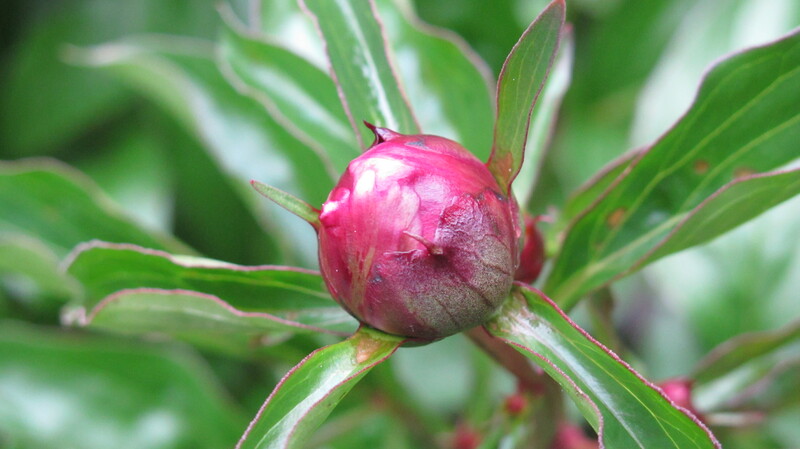 I love peonies too – just very occasionally you can buy them in Brisbane – bit like hens’ teeth though. That funny pouty little bud was just playing coy and then it really flounces and shows off doesn’t it. They are very expensive to buy in Brisbane and they last about 2 days, but they are very special. I love them too. They grow well in Germany and I love the one on your balcony! I also love them in white. 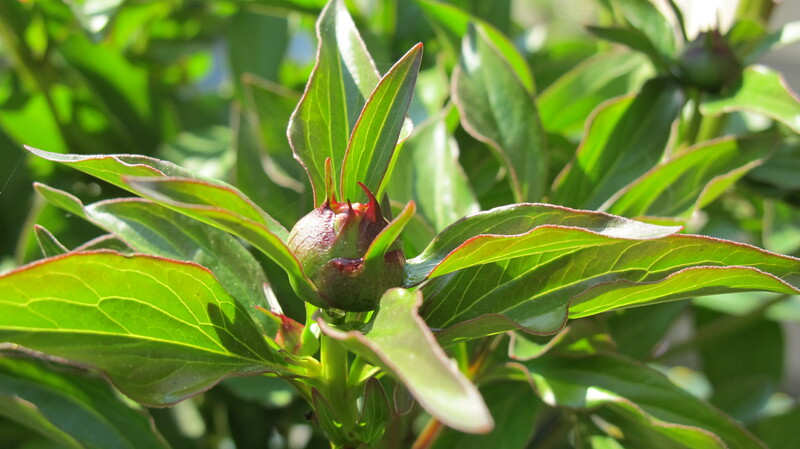 My peonies in the garden haven’t flowered yet which is now late but I await to see them bloom. 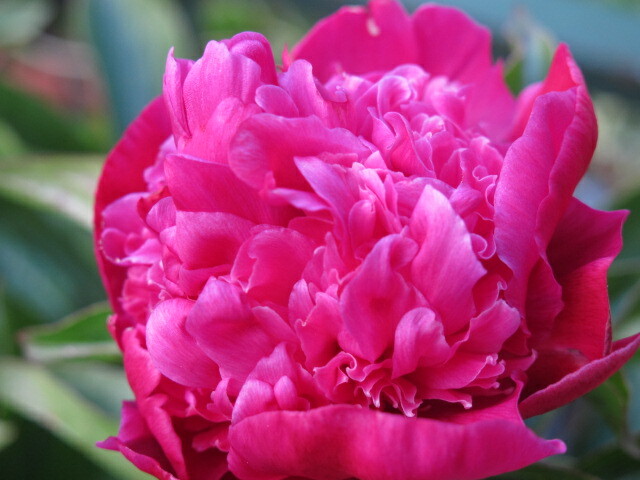 I love any coloured peony. The pale ones are so delicate and beautiful. I hope yours put on a good show. The plant was quite big and grew very quickly. I hope to do better next year armed with better information. They’re beautiful! I love watching plants develop. Nice to see that progression in your photos. Wow, its amazing….it just needs some love and caring to grow up. I hope it does well next year.